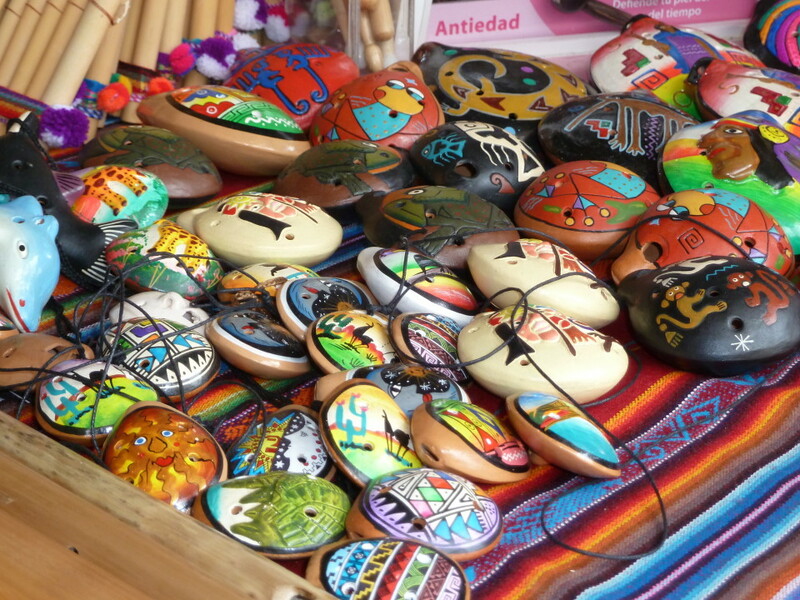 Ecuador is famous for its colorful indigenous markets. The most famous of them is in Otavalo, northwest of Quito. 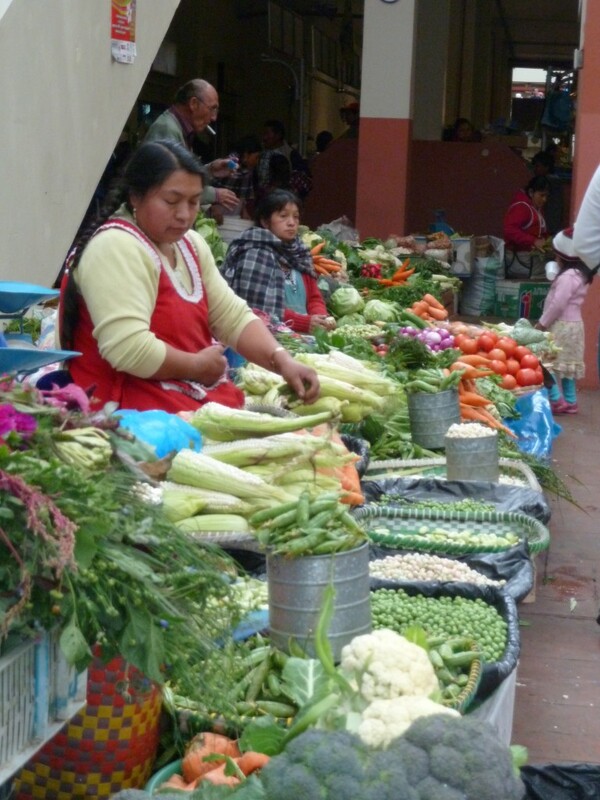 The Otavalo Market takes places every Saturday. The market has hundreds of stalls where locals sell their goods. 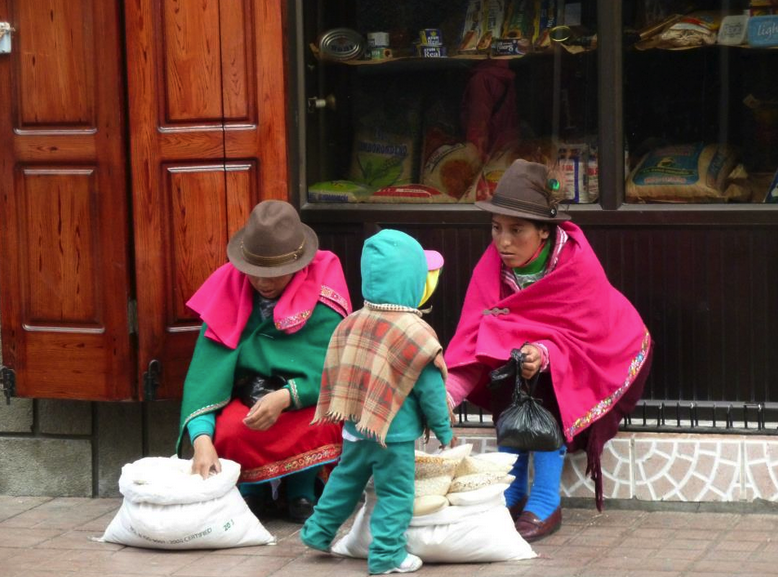 This indigenous market is well known for weaving, thus selling scarves, hats, and sweaters. However, there are many indigenous markets in Ecuador, with Otavalo being the most well known for international visitors. Cuenca, on the other hand, has lesser known, but more local markets spread throughout the city. Cuenca is a monumental city in Ecuador with a rich history spanning back to the Spanish colonial era. 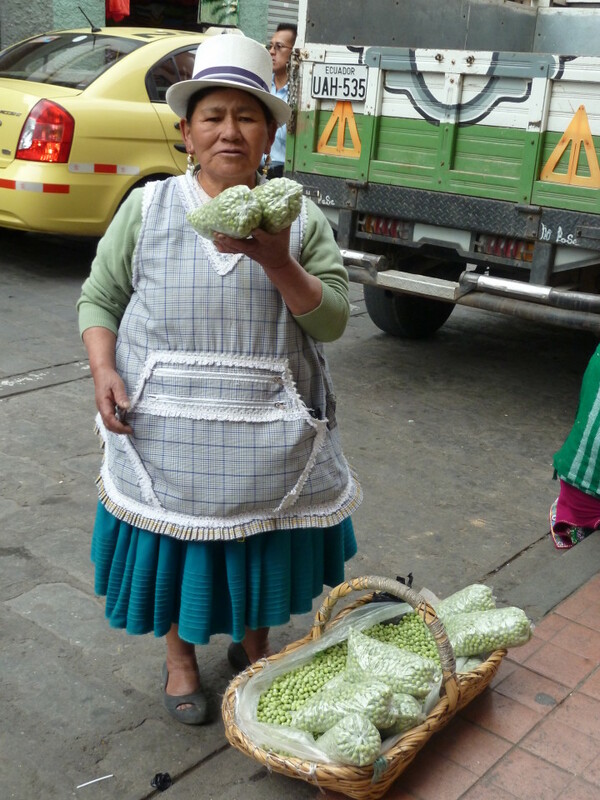 The markets here are geared more towards the local Ecuadorians and so have a very authentic “feel” to them. 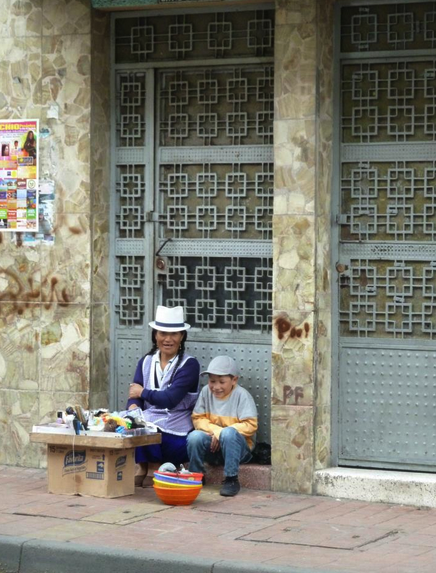 Cuenca is also a major export center for Panama hats, so you will find plenty of them to purchase around here. Cuenca is also a place to purchase large straw baskets as they are also well known for their find weaving skills. 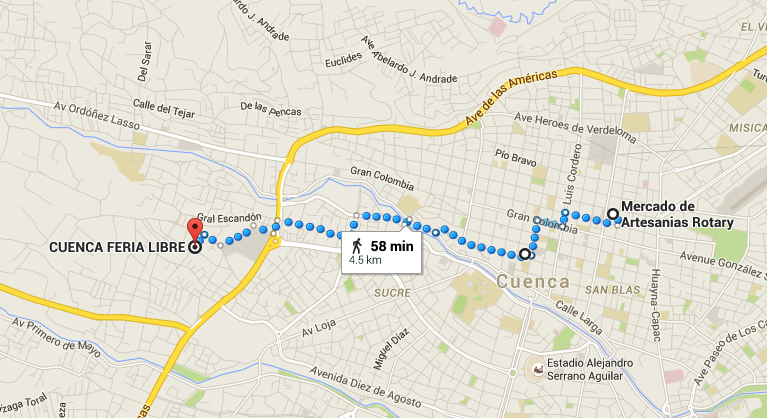 In case you are looking for a place to stay in Cuenca, you can check here for many great options. 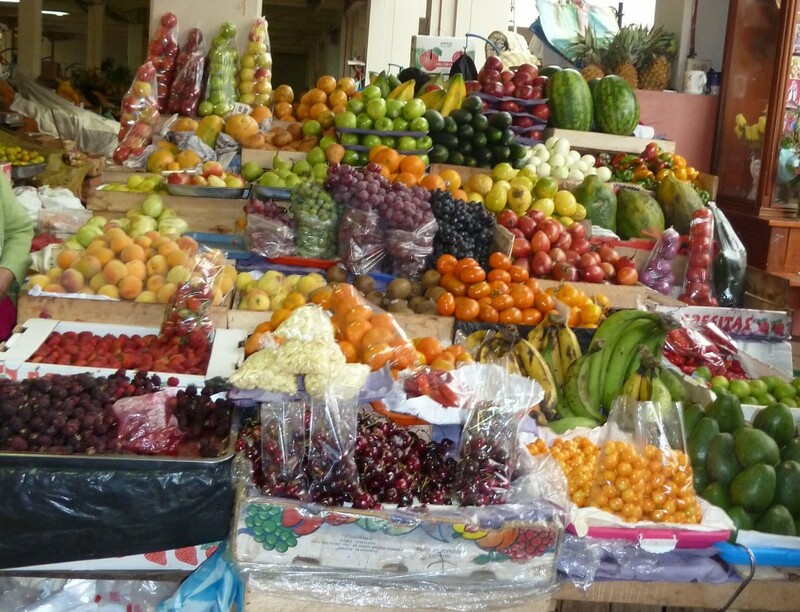 In Cuenca, the local markets have every type of fruit (almost) or vegetable that you can imagine. If you’re a fruit and vegetable lover, you will be amazed at the staggering variety available. Although the apples are imported to the markets in Cuenca, Ecuador, almost everything else is grown in the region. Because it is not cold enough to grow apples in Ecuador, they are actually imported from Chile. There are also more than 4,000 varieties of native potatoes grown in the Andean highlands of Peru, Bolivia, and Ecuador. But Ecuador itself grows more than 500 varieties of potatoes. They have a variety of types noted for their taste, texture, shape, and color. Most vendors come out on Thursday, with fewer stalls on Saturday and fewer still the other days of the week. 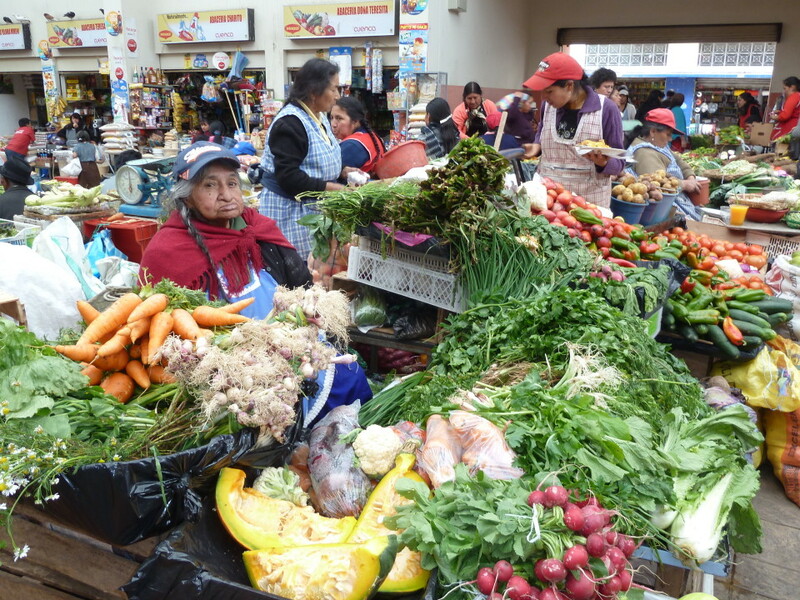 The market scene in Cuenca, Ecuador is lively, vibrant and bountiful. The two main market areas in town are the Plaza de San Francisco Market and the Plaza Rotary Market. They are within walking distance of each other. The market at Plaza Rotary is mainly fruits and vegetables. This is one of the biggest markets in the main area of Cuenca. It is where the farmers bring their crops to sell to the public. The Plaza de San Francisco Market is mainly for locals, though there’s a row of stalls on the north side with souvenirs made from other areas of Ecuador for tourists, especially from Otavalo. Here they have everything from basketry, ceramics, to ironwork, gaudy religious paraphernalia and even guinea pig roasters! See if you can figure out what is in the photograph below? 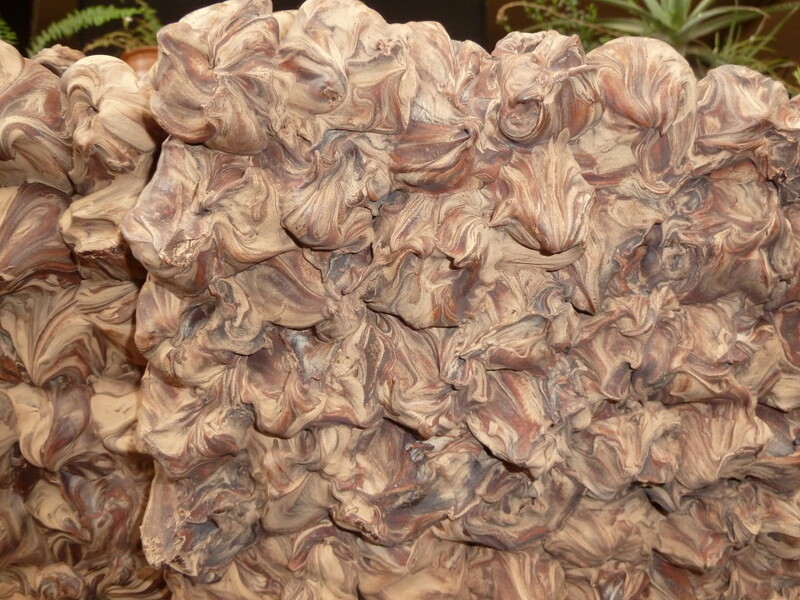 They call it chocolate, but I laughed because my kids bought a chunk of it from the markets in Cuenca, Ecuador. They brought it back to the hotel room, as my boys couldn’t wait to try it out. But, alas, they tasted and spit it out, it is a baking type of chocolate and not a sweet chocolate like we find in the States! It looked so good! Visitors should be warned that the sellers can become annoyed by tourists who take too many photographs of the market but don’t purchase anything. As you can see, this lady wasn’t too happy with all my photographs! That’s the thing here at the markets in Cuenca, Ecuador, you really have to know when to steal a photo and when to stop. The Feria Libre (literally the Free Fair, or Free Market) is where people from the local area shop. The Feria Libre Cuenca is spread over acres of land and has a ‘hustle and bustle’ type of atmosphere. Unless there’s a sign with a posted price posted, you don’t need to pay the first price they ask, but instead you can haggle.Especially if you can speak Spanish! You will find that Feria Libre is an amazing experience for a photographer and a fun place to shop if you really just need the products. I recommend that you avoid Wednesdays and Saturdays because these are the days when buses bring in people from the surrounding areas to do their weekly shopping. 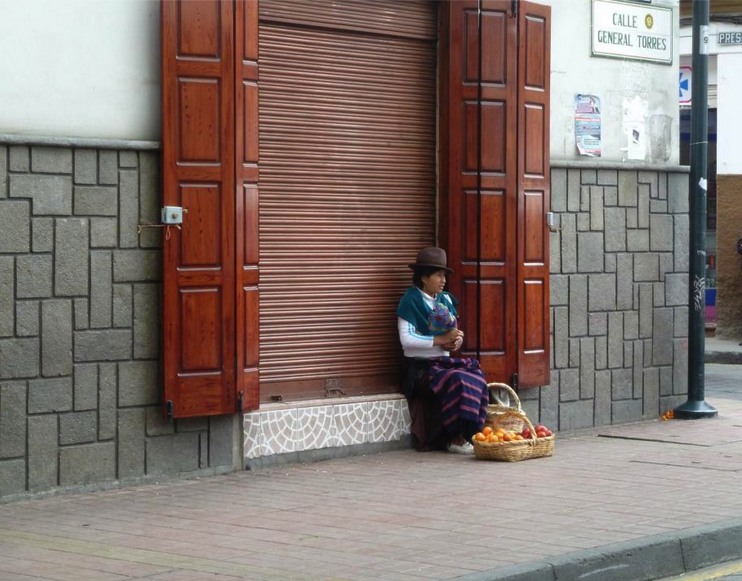 They are especially busy on these days and it might be best to avoid the markets in Cuenca, Ecuador on those days. The markets get extremely crowded and since you are not a local, it might be best to avoid this time. You can even eat at the markets, too! 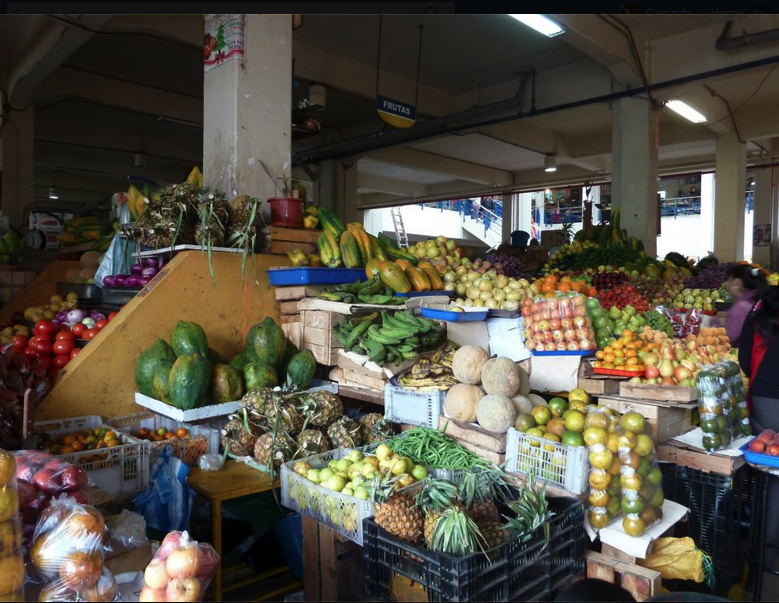 Like most markets in Ecuador, there are plenty of food stalls where you can actually sit down and have lunch. 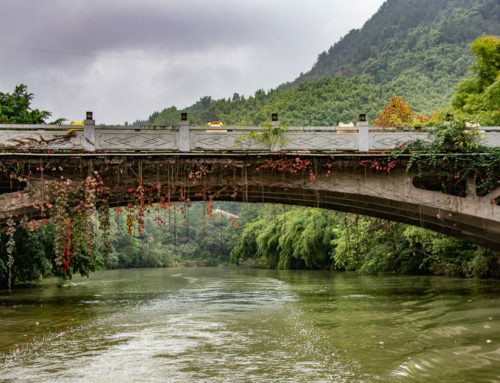 Because locals mostly come here, you will find local dishes like soup, chicken, rice, and even fried fish. There are also street vendors that are just outside of the market that don’t have booths. They will sell you anything you are interested in. The indigenous people in their traditional dress are like a world away, yet, probably much like you and I by just trying to make a living. 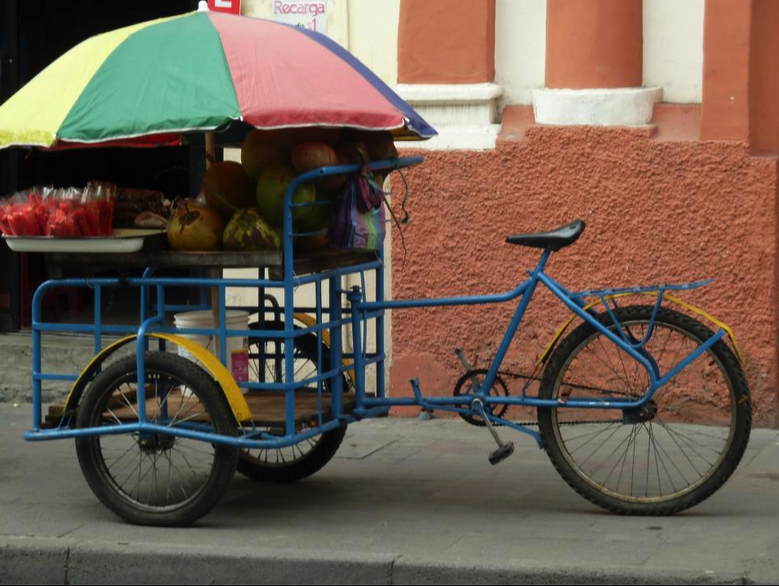 And here’s a bicycle made to sell fruits and vegetables parked right outside of the markets in the main area where the markets of Cuenca, Ecuador are. They sell fresh watermelon on a stick. 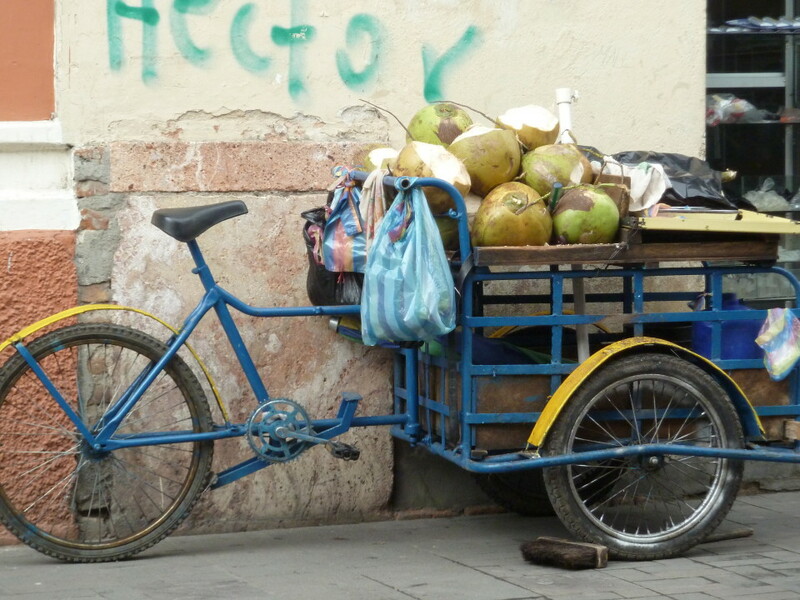 I also enjoy photographing modes of transportation, in this case, a bicycle that transports coconuts! And don’t forget the flower markets! 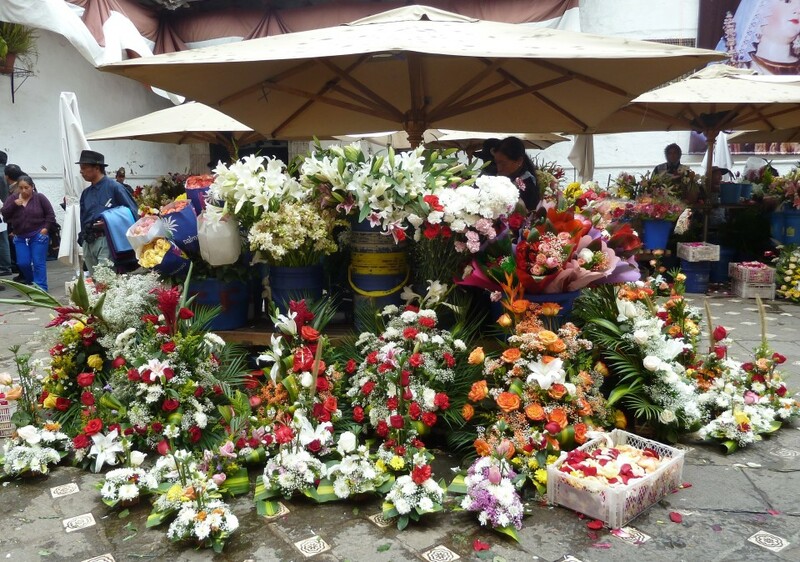 The flower markets stand out with a gorgeous backdrop of the great Catedral de la Inmaculada Conception. Here they have hundreds of different vendors that have set up shop on the street, selling their beautiful flowers with everything from orchids and arum lilies to giant roses. Have you thought about going to the Galapagos Islands since you are in Ecuador? What is it really like to be on an Ecoventura Yacht in the Galapagos? 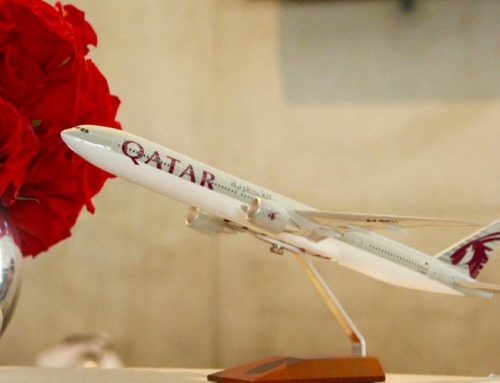 A Qatar Airways Review: Q-Suites! One of my favorite places to go is the markets when I travel. There you see such wonderful things and interesting people. The irony is that I don’t even shop at the farmer’s market locally. I know, me either, here in Phoenix. Granted, they are few and far between. 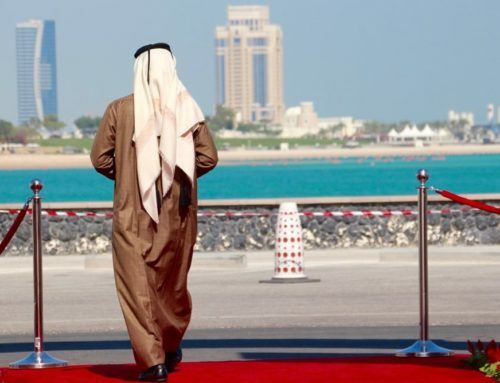 They still have charm, just not the type of charm in a foreign country. 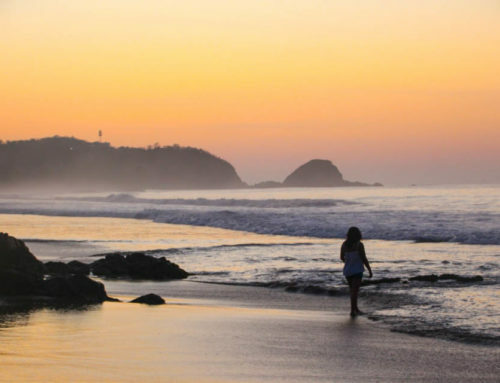 I was surprised to get all the information from your eye opening travel in Ecuador. 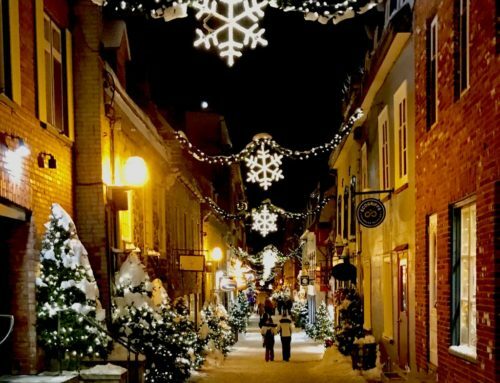 I like to go in our winter time (Canada) thanks for sharing your experience . Ecuador is a place that still has many places left to be explored. It is quite an interesting place! Cuenca’s markets are delightful if you stick to produce. Yes Fred! I enjoyed my time spent wandering through the markets! Great pics! I, too, love visiting markets whenever I travel. They truly give you the flavour of any place you are visiting. Love that flavour!! especially of chocolate! I love Cuenca! I actually prefer it is a destination in Ecuador over Quito. I did enjoy Cuenca, although Quito is special too. Just arrived in Cuenca myself and I’m looking forward to wandering around the market. Thanks for the great info! Ha ha! My sons found out the hard way!